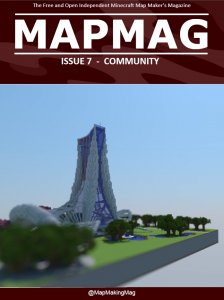 Welcome to the Minecraft Map Making Scene! 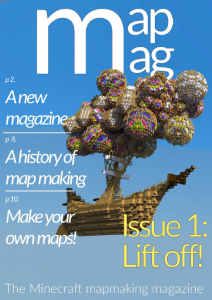 Click here to read the first issue of MapMag (pdf): MapMag Issue 1 Lift Off! 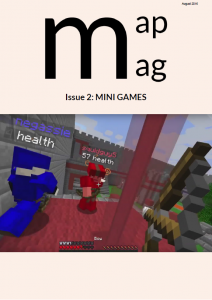 This magazine is for everyone. 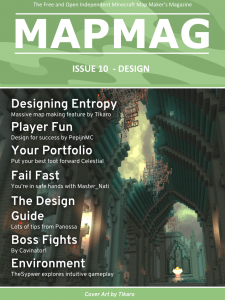 We want anyone who has an interest in Minecraft to be able to pick up an issue and think “maybe I should try making maps!”. 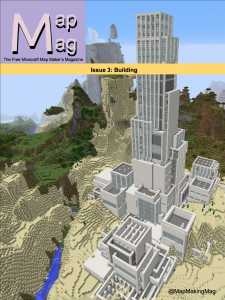 By reading this magazine you have started a journey. The path ahead is well travelled by like-minded people who have taken a love of gaming and Minecraft to a level where we create our own games in Minecraft. Crazy, isn’t it? This magazine is intended to share news about Minecraft Map Making, foster collaboration on projects, and to put time-saving tools in the hands of people, like you, who can make use of them. It builds on the work of Moesh and the Limited Engagement team, who produced a set of podcasts in 2014 and 2015 covering many map making topics. 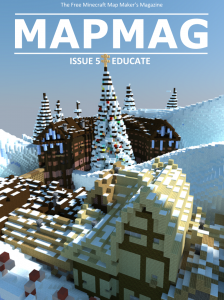 Over the coming months we will take a close look at key and emerging map making topics and point you at the right resources that will help you realise your ideas quickly. We will meet some of the people who have developed and released successful maps, and we will also showcase some of the lesser-known individuals who work tirelessly in the background to grow the capability of the community. 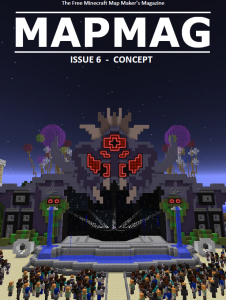 Also look out for news on new map releases! 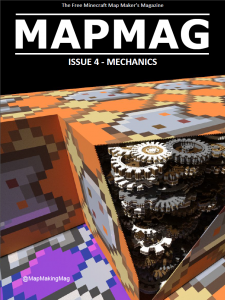 Of course we will also be looking at Maps and what makes them fun to play. We will take a close look at the sorts of things to avoid so you can save time and produce a playable product. 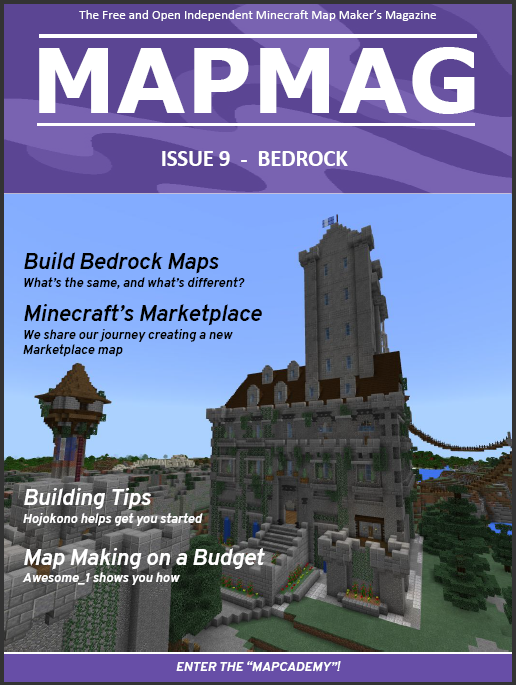 This issue is about getting everyone on the same page, while also offering news current at the time of publication. 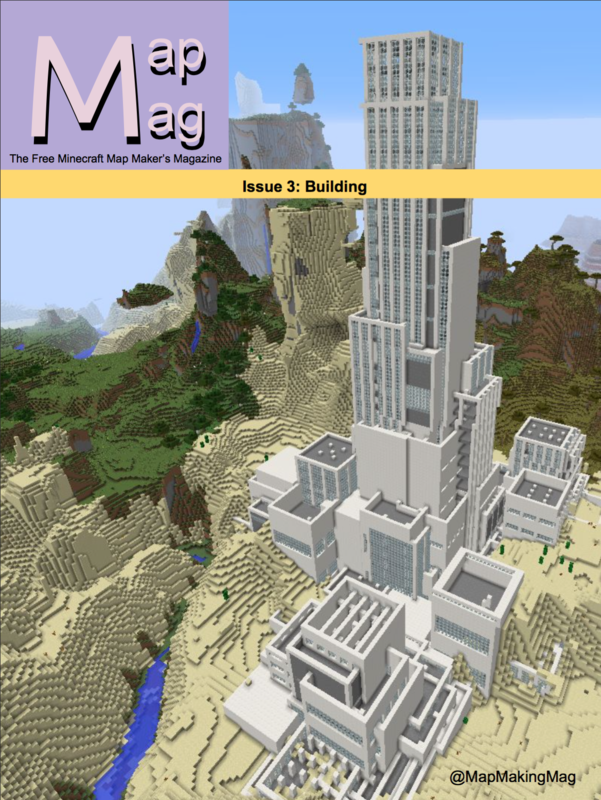 We are in a time where original games are being created within Minecraft. 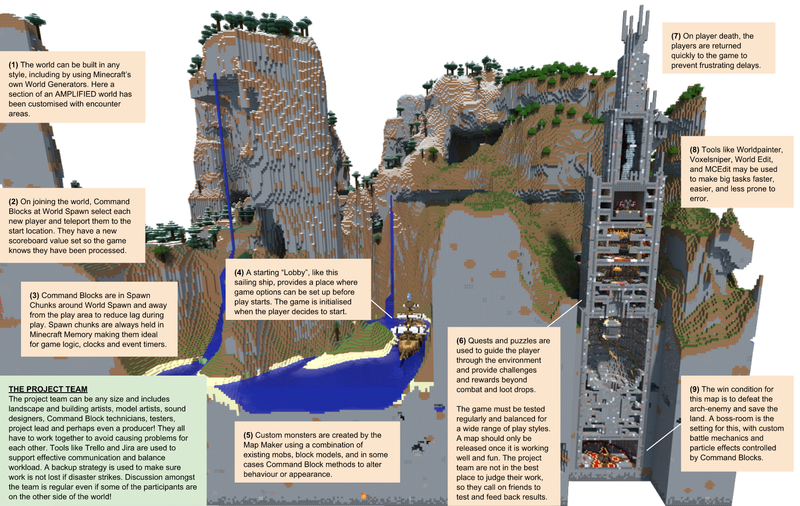 Players familiar with the “Minecraft” way of doing things can quickly understand the logic of these new worlds and start exploring them within minutes and with very few instructions. 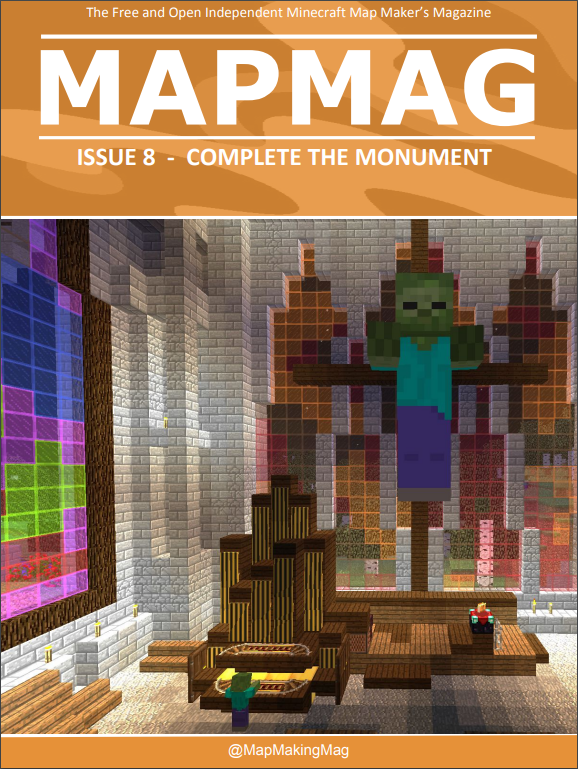 Networks of multi-player servers regularly introduce new games and features to keep their returning subscribers entertained. 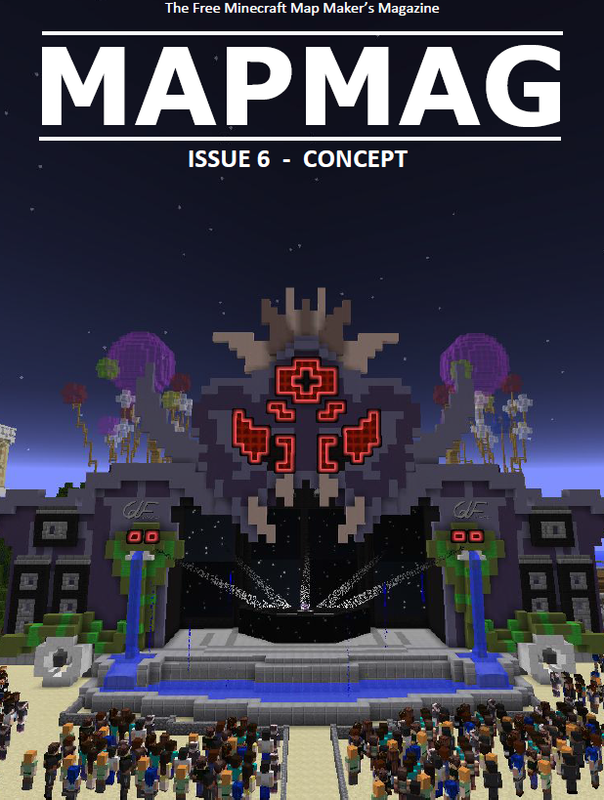 YouTube personalities with millions of subscribers have built well-paying careers out of showing new creations and technical wonders of the Minecraft universe. 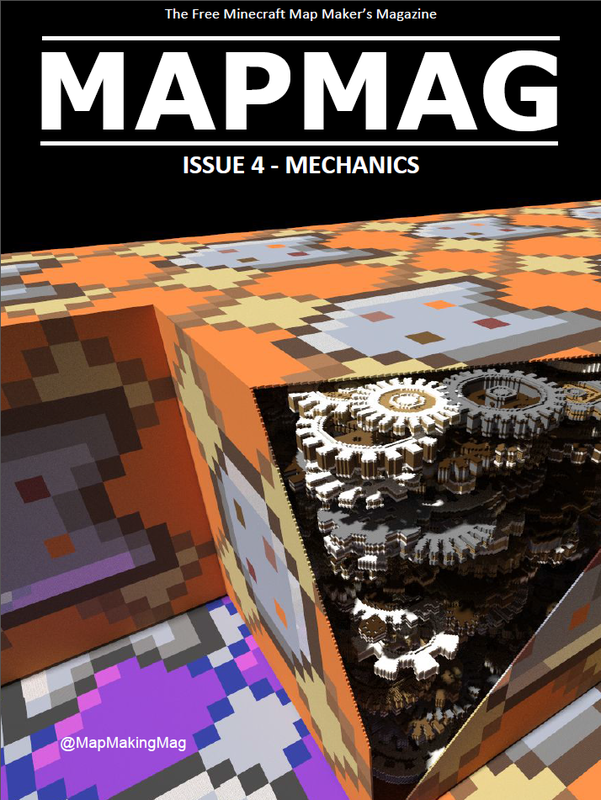 Behind all of this are the people who work within the limitations of the game to bring these new ideas to life. These are the Map Makers. This is you. I want to personally thank you for joining me on this journey. Together we will make better worlds!